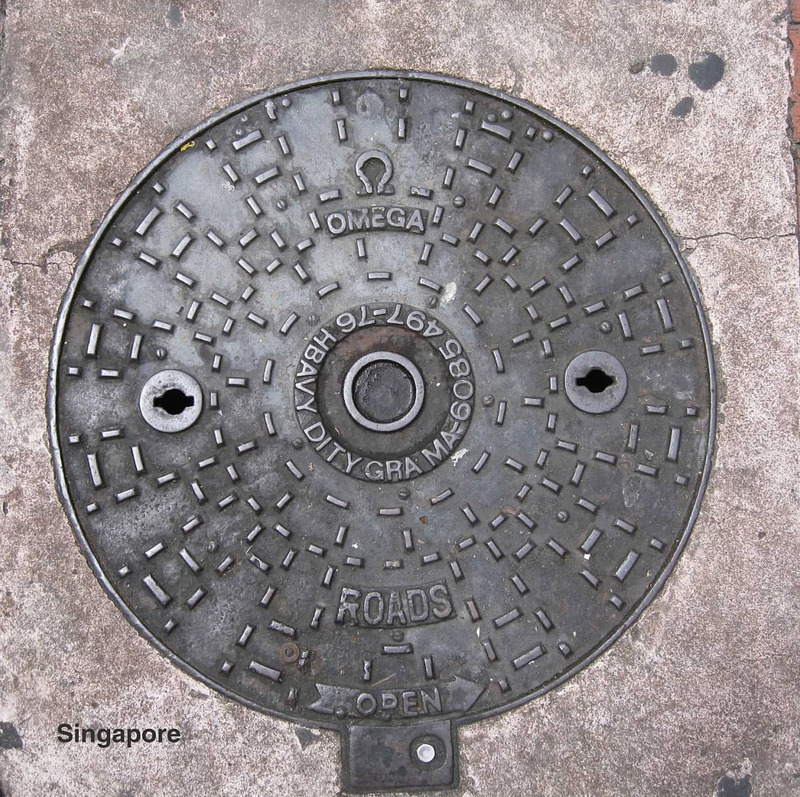 If a photo can only tell so much of the story, what is the story behind your photo collection of manhole covers? 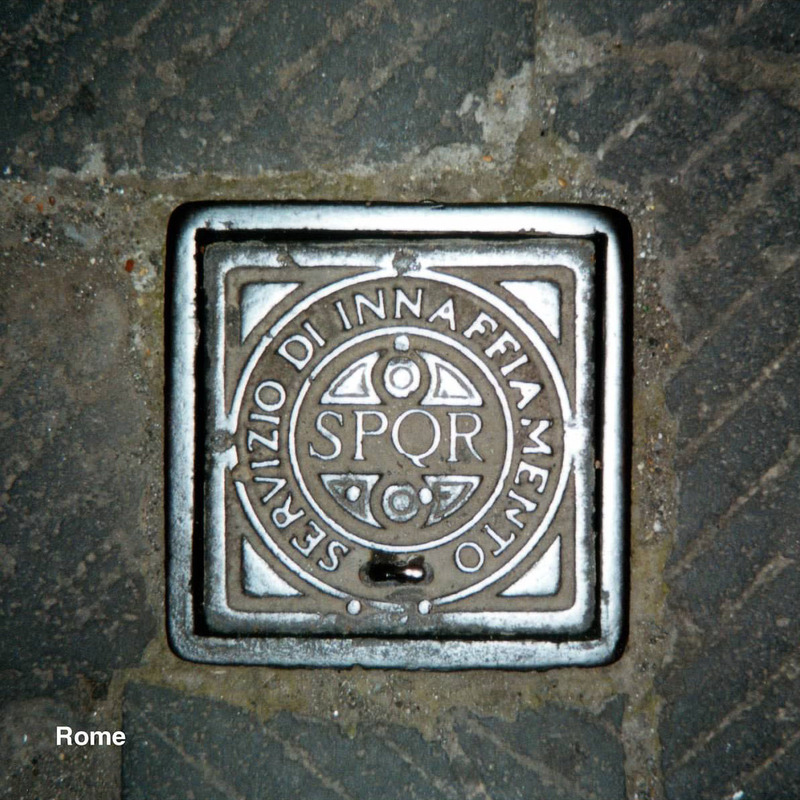 The first photo happened when I was in Rome and noticed the inscription “SPQR” on a metal cover in a cobblestone street. I remembered learning about the inscription in history class. It dates from ancient Rome and means “The Senate and the People of Rome.” I briefly wondered if this little plate was thousands of years old. 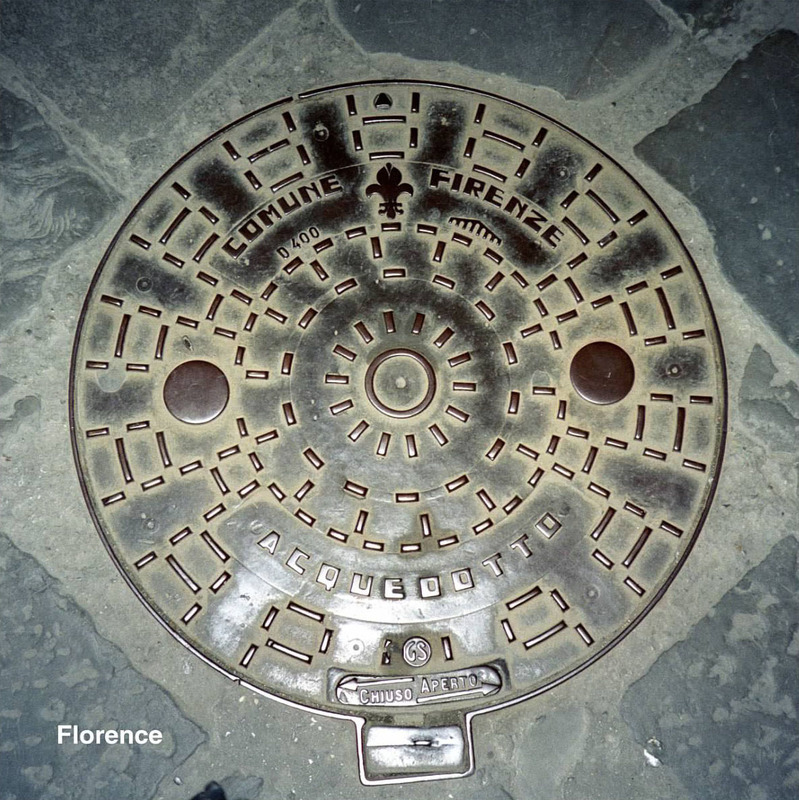 As it turns out, the city of Rome still uses the inscription on modern manhole covers and the like in recognition of the advances ancient Romans made in plumbing and sewer technology. I wish I could say that I found some insight into how cultures value their most humble public works, or how those values vary between rich countries and poorer ones, but I didn’t. I think it’s just a study of how many ways there are to provide traction on the surface of a metal plate. 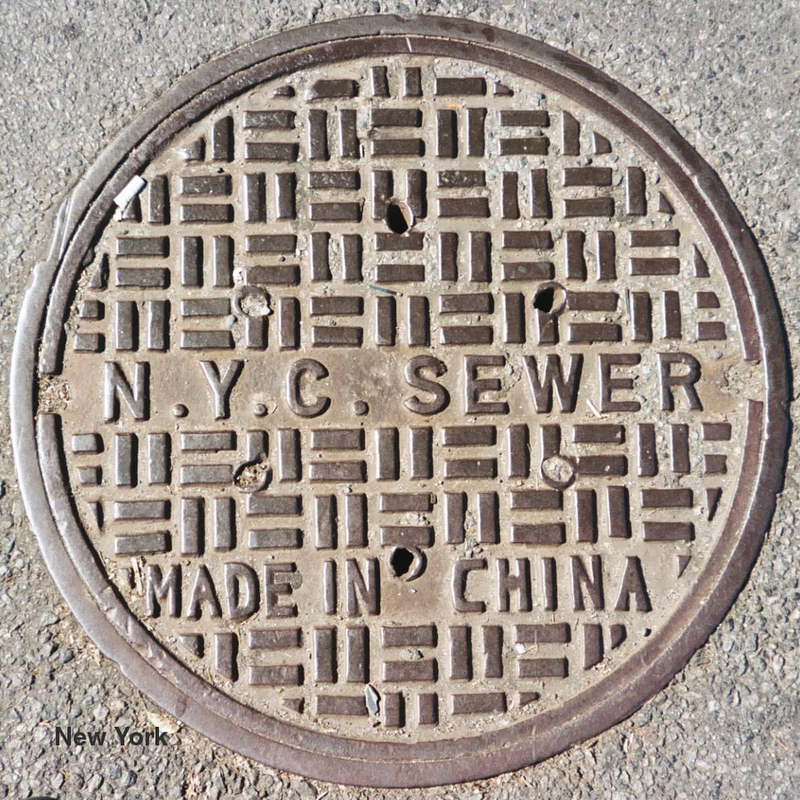 The two U.S. covers in the collection (New York and San Francisco) have “Made in China” or “Made in India” imprinted as part of the design. The international covers either have a textured design or a culturally significant design, such as the Roman cover. 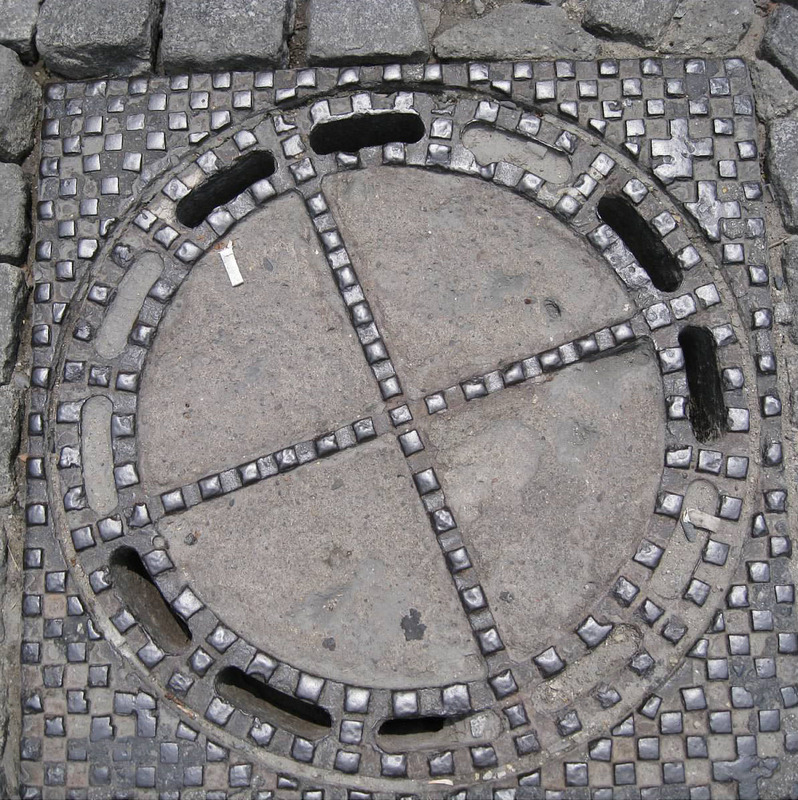 Do you think the United States values low-cost functionality over cultural significance in its most humble public works? Some of that is the result of selective curating on my part. You can find interesting designs in the United States too. New York City even has a series with short verses of poetry or interesting quotations. I think it’s more a sign of the times in which they were installed. Older neighborhoods tend to have more interesting designs. I don’t know if modernism led to more utilitarian designs or if it was simply that cities were broke in the 1970s, but there definitely seems to be an era when designs were more plain. Your collection spans eight countries in all hemispheres—how often do you travel, and do you always photograph while traveling? I don’t think I travel more than the average person, but I have been lucky to have friends get married in faraway places. I went to Argentina and India for weddings, and the India trip turned into an around-the-world excursion. Hong Kong, three cities in India, Istanbul, and Paris. All in three weeks. I always take pictures. 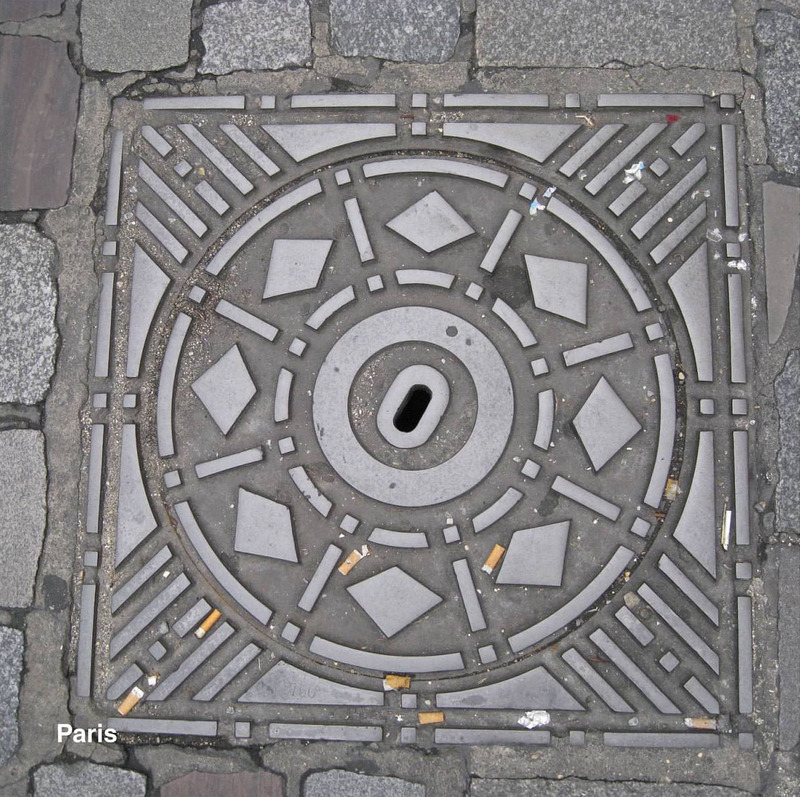 The photo of the Paris manhole cover is littered with cigarette butts. Is there still a strong smoking culture within French society, or is this an outdated stereotype? I don’t know how much they smoke in France or even Paris in general. Apparently I chose to photograph this particular cover because the image somehow seemed to capture my time in Paris. 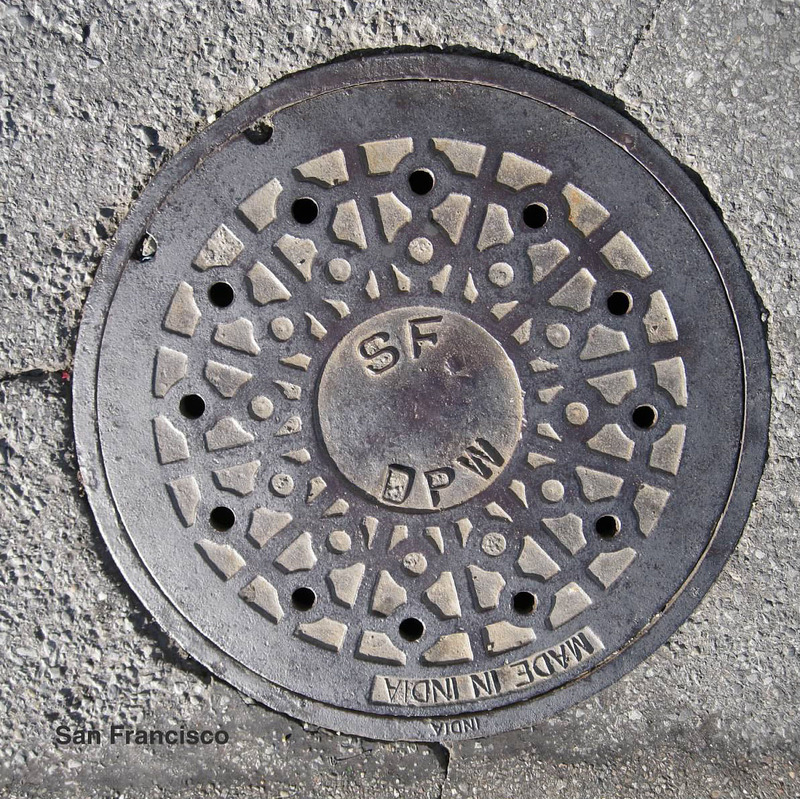 Are manhole covers urban industrial pieces of art or just entry pathways for conduits? To me that’s the interesting question to ask for each one. At some point, someone created each design, and someone else decided to buy it and install it in a particular place. Do the creation and installation need to be done thoughtfully in order for them to be considered art? I think the acts of creating and installing, whether done thoughtfully or carelessly, tell us something. Even if all they tell us is that nobody cared at all. 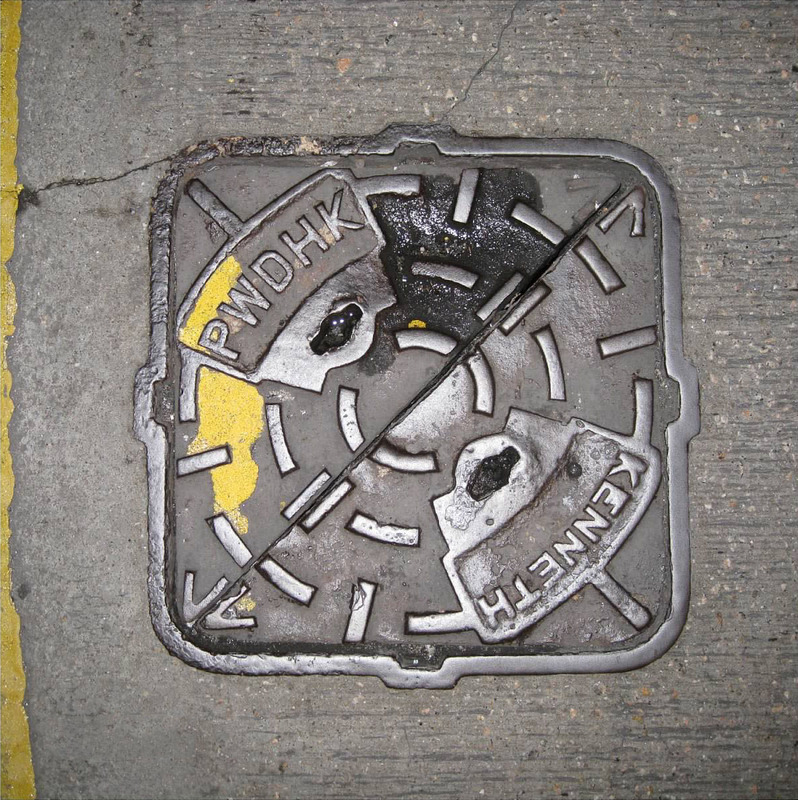 However, I think the covers, like a certain urinal, are more likely to be art now than when they were just lying there in the street. Then there are the photographs themselves: by the time I’ve chosen which covers to shoot—whether surrounded by cobblestones or littered with cigarette butts—composed the shot, and assembled the photos together, I definitely consider them art. As architects we are always telling people to remember to look up. 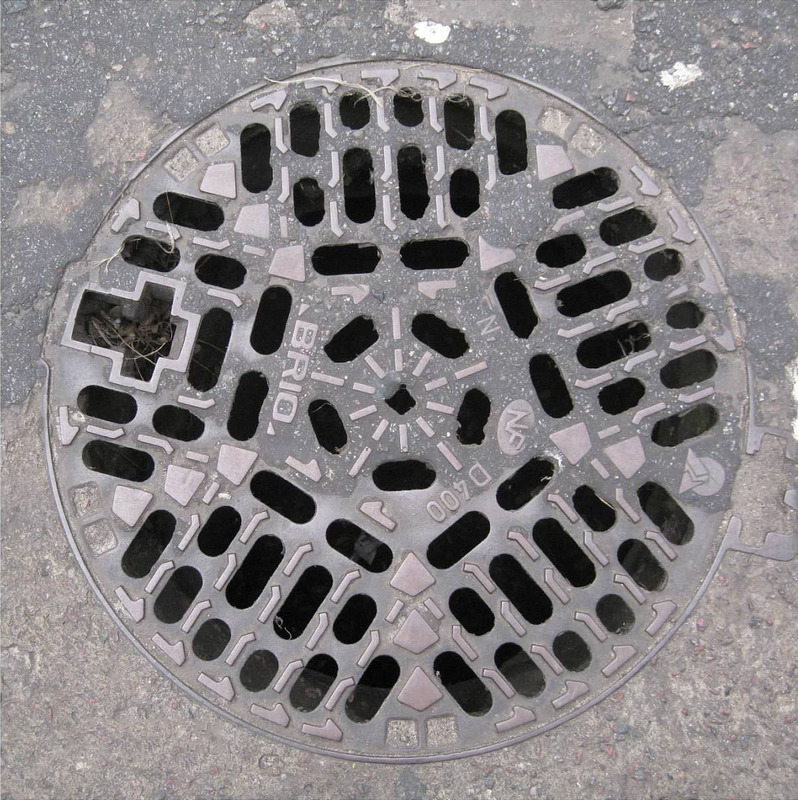 But you also have to remember to look down! Do you curate/collect other photo objects? If so, what influences your interest? No, not really. 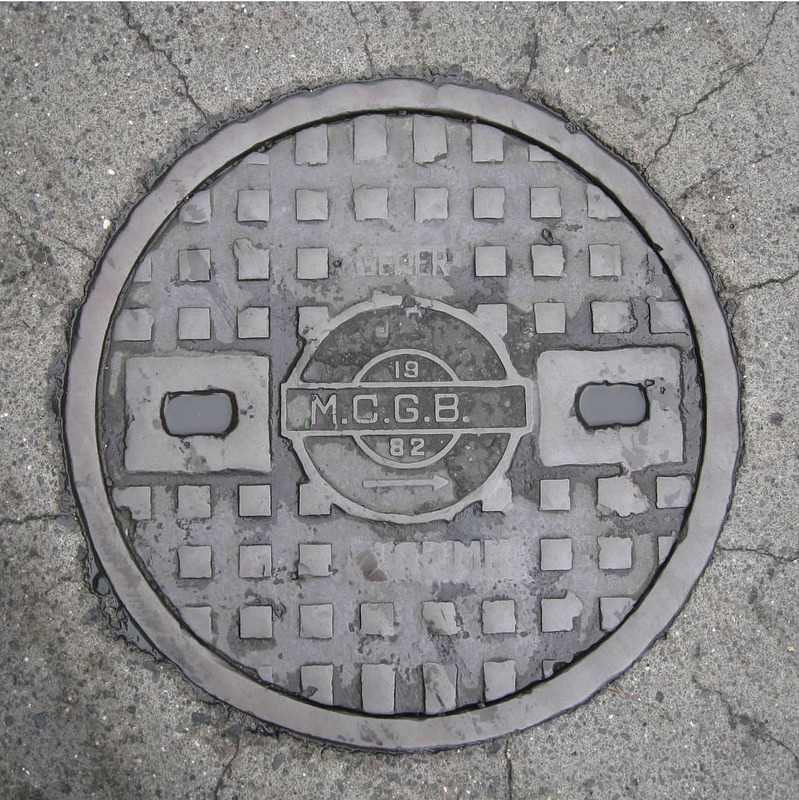 I like the manhole covers because they’re mundane things that run through every modern society. If I was to do something else, it would have to be something equally mundane, like doorknobs or faucets.